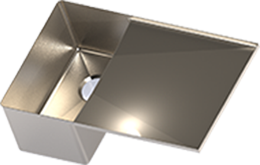 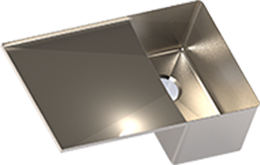 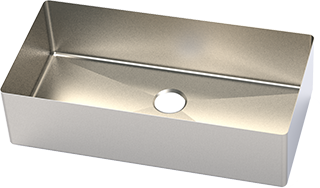 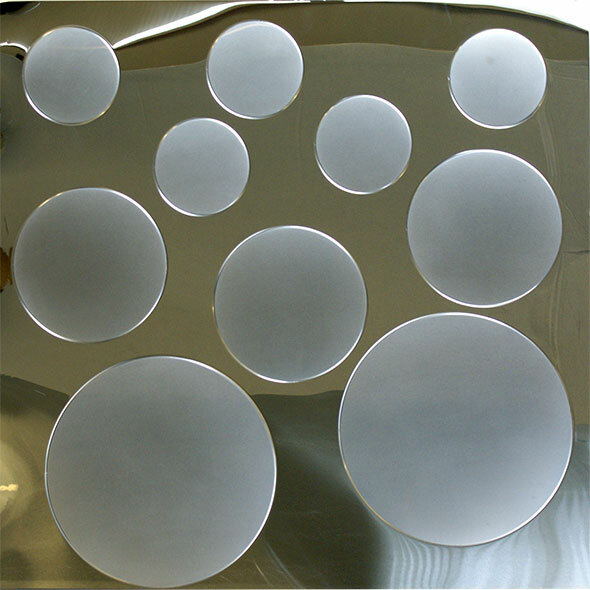 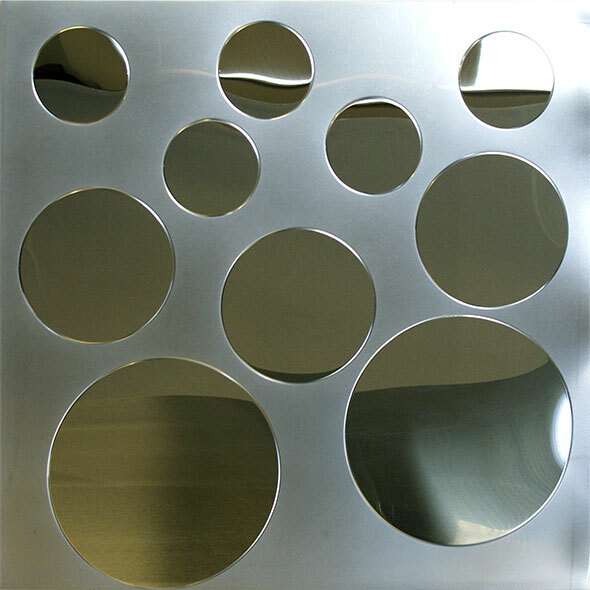 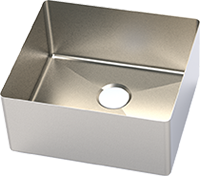 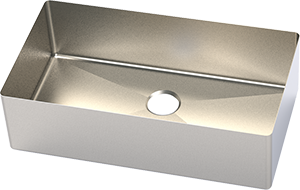 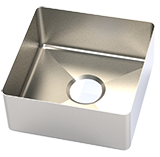 Design your sink from our stock sink bowls or change sizes or depths to suit your needs. 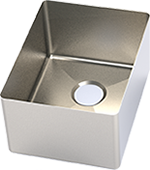 Create a multi-bowl sink or a single bowl. 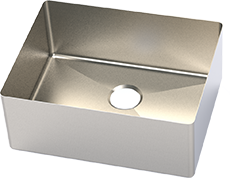 You can even add a drain board to either side. 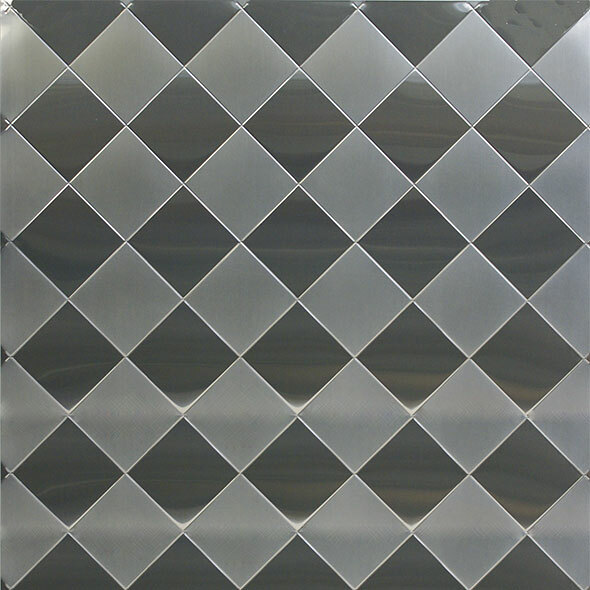 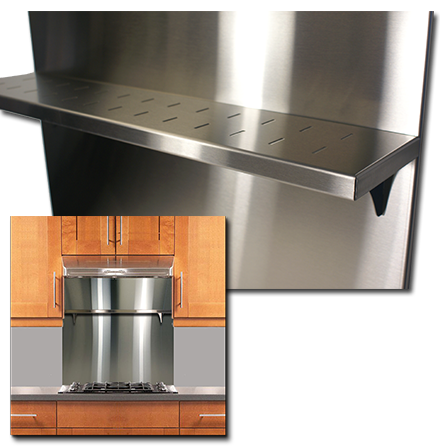 Our contemporary commercial style stainless steel sinks are the perfect match for our stainless steel countertops. All sinks are made in house by the same team of craftsmen that build the countertops, insuring a perfect match and fit every time. 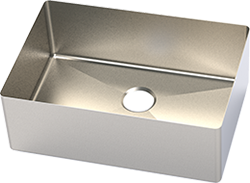 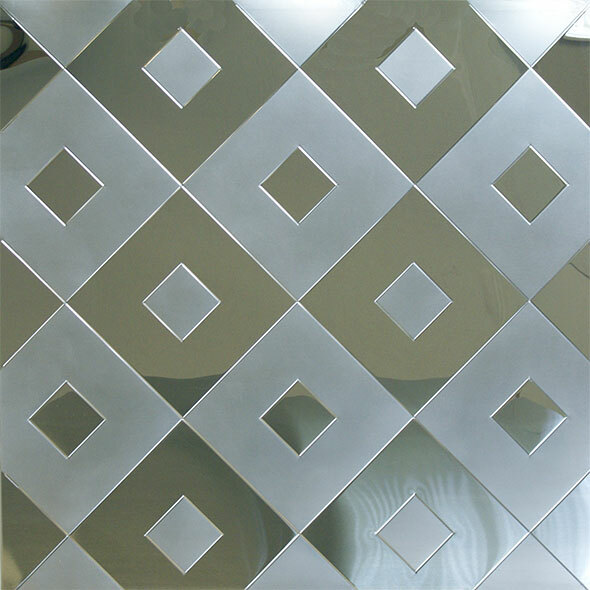 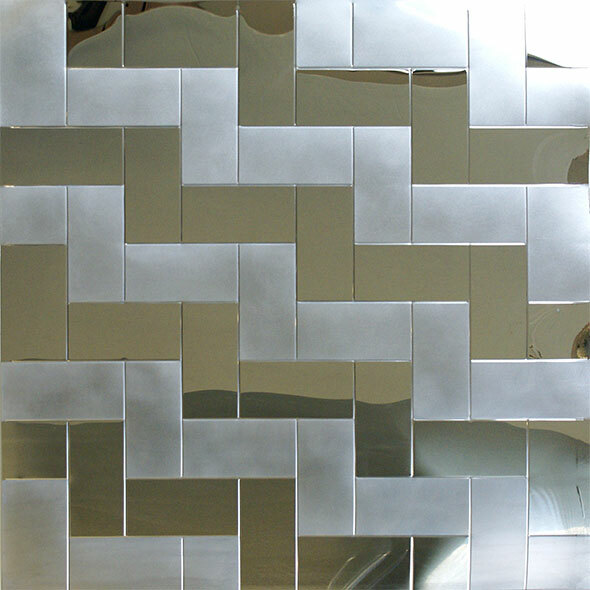 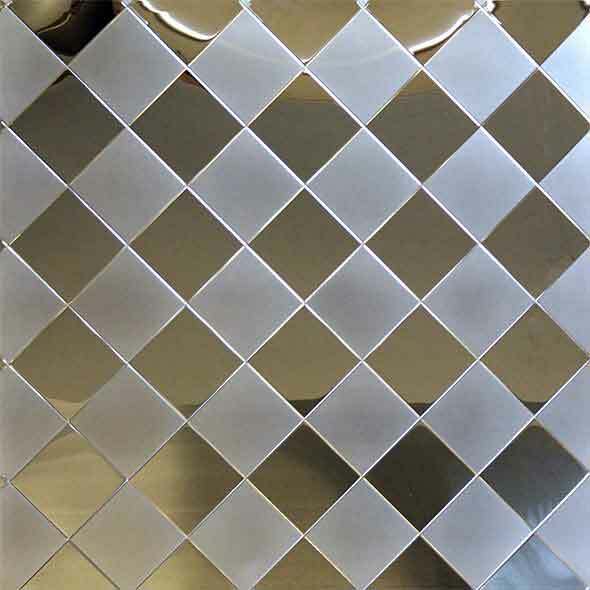 They are seamlessly welded into the countertop creating a uniform, integrated unit. 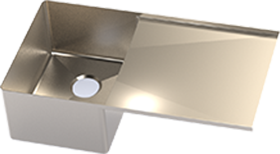 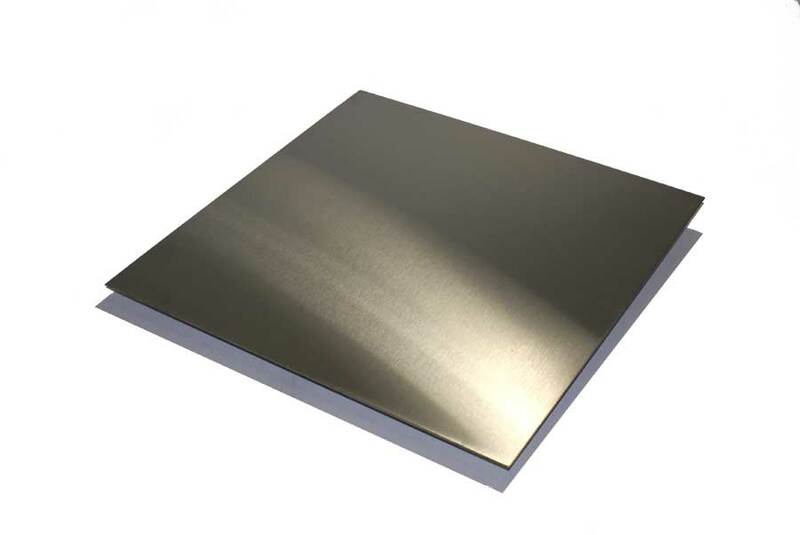 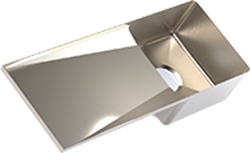 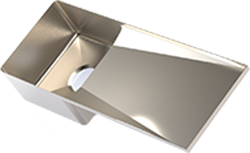 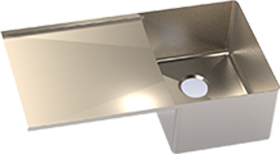 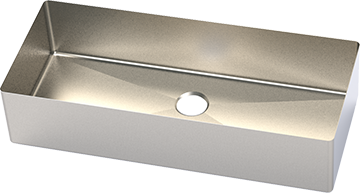 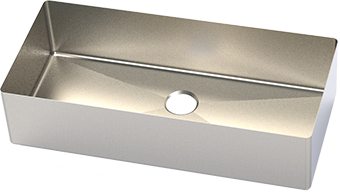 The tight 5/8” radius coved corners are superior to “zero radius” corners in that they provide a cleanable surface while still offering the desired “modern” look.